The new Pilot’s Watch Worldtimer helps you to keep track of the various time zones. The dial shows current local time and can be advanced or turned back in one-hour steps to show the new local time, even when crossing the International Date Line. The 24-hour ring makes it easy to read off all 24 time zones. With globalization advancing so rapidly, it is becoming increasingly important for pilots, frequent flyers and international business people to keep track of different time zones. The new Pilot’s Watch Worldtimer offers a particularly elegant solution to the challenge. The dial shows the current local time. 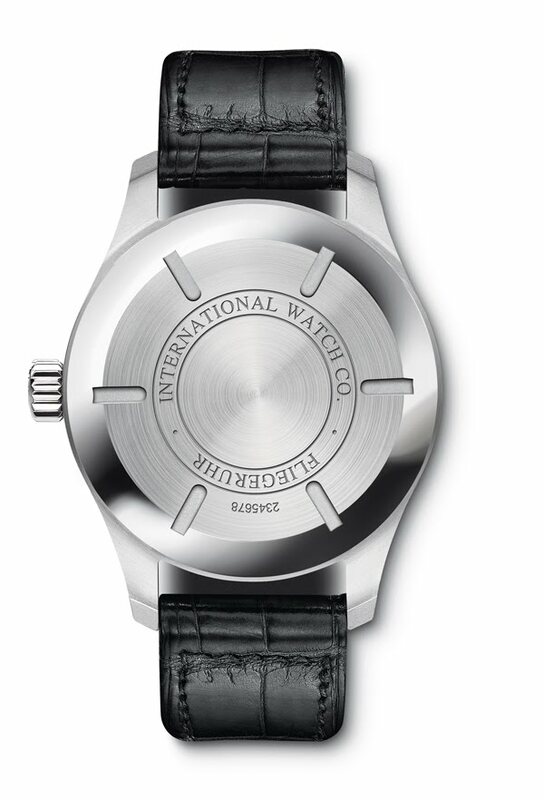 If the wearer passes through one or several time zones, the time can be adjusted forwards or backwards in one-hour steps via the crown to show the new local time, even when crossing the International Date Line. The date simply moves in sync with the jumping hour hand. Once set correctly using the crown, the black-and-white 24-hour ring encircling the dial enables the wearer to read off the time in all 24 time zones, including the current Universal Time Coordinated (UTC). The 23 place names on the external city ring each represent a time zone, and standard time is centred below the name of the city. In the illustration, the dial shows local time as 10:10. The 24-hour ring displays the current UTC time in London, where it is 18:10, while the time in New York is 13:10. In cities on daylight saving time, the time can be read below the dot linked to the city name with a line. If local time is changed on the dial, the time shown by the 24-hour ring remains unaffected and the movement continues to run during the changeover. 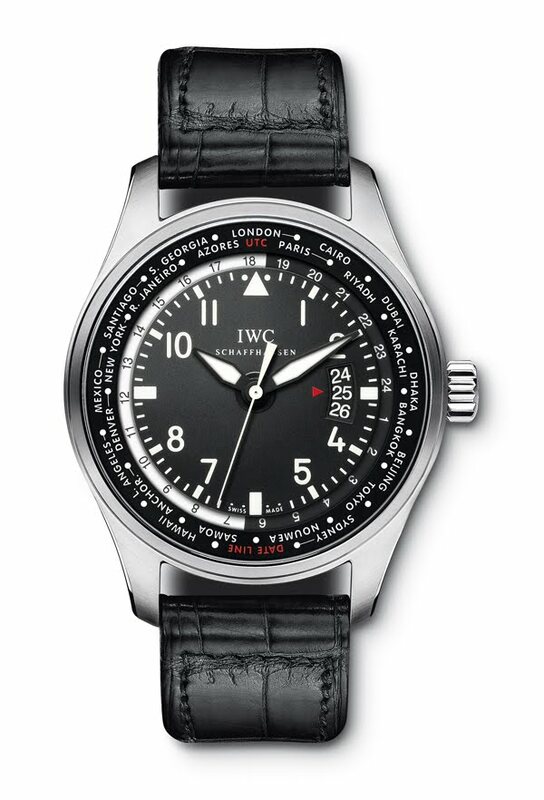 The Pilot’s Watch Worldtimer is secured to the wrist by a black alligator leather strap with a folding clasp.